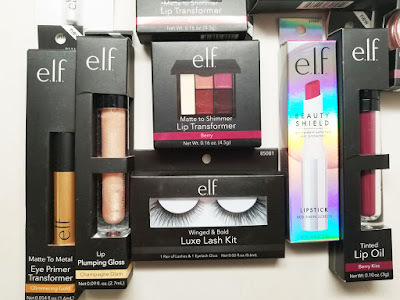 So are you ready for my 3rd giveaway? Well here it is! 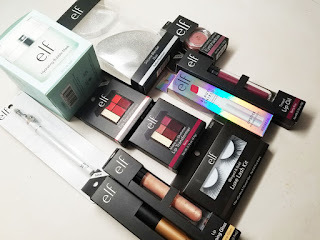 I literally just loaded up a whole bunch of goodies from ELF Cosmetics and one lucky winner will be stocked up! Check it out! Here's an up close shot of the goodies. 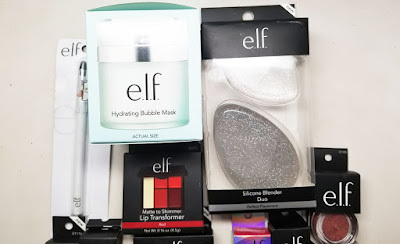 I've included a mix of skincare, eyes, lips, tools and more! To win, follow me on Instagram and check out the giveaway post. Good luck!